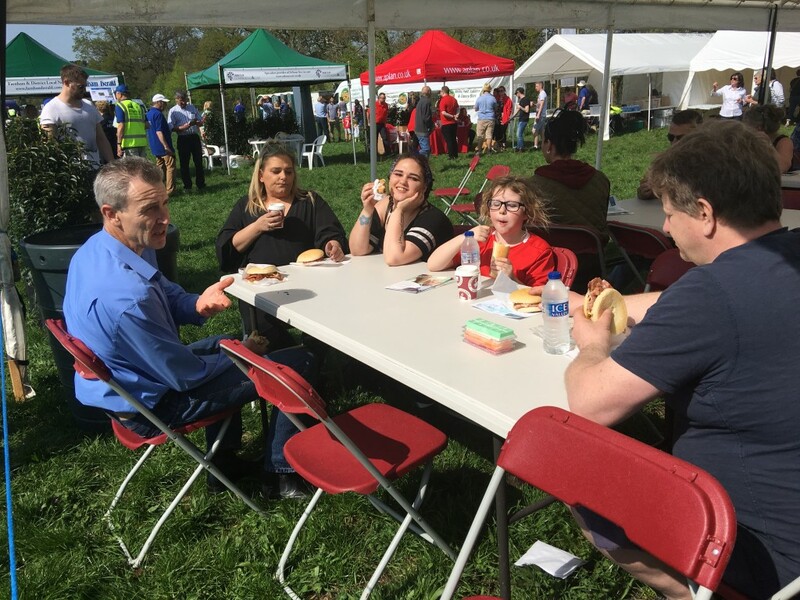 While thousands of marathon runners pounded pavements around Millwall Park on 22 April in the heat, Mudchute Equestrian Centre’s finest were undergoing a different type of endurance event at the Frensham Sponsored Horse Ride. 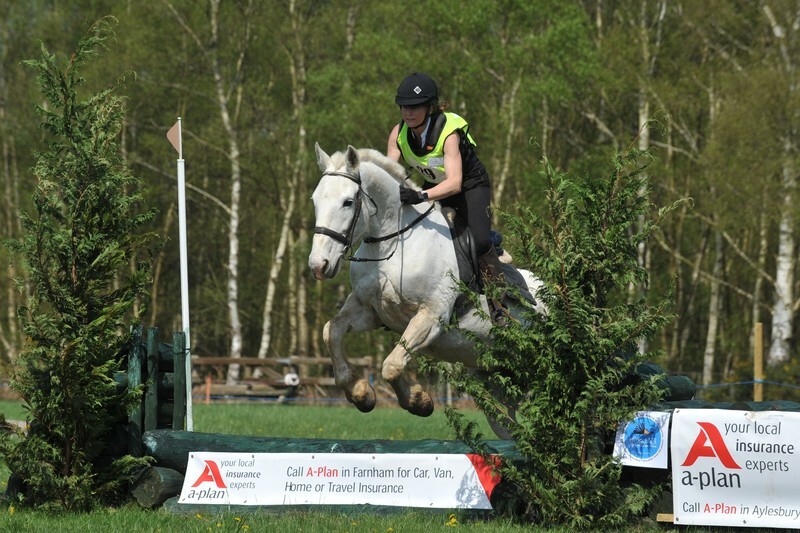 Beckii Byrne and Lorna Roxburgh who are known for their love of animals at the stables and farm were on the podium at Stockbridge Farm in Farnham. They both raised funds for The Hedgehogs; a local Farnham charity (helping people and organisations in need) with Beckii taking first prize and Lorna third in the Seniors class. Both Beckii and Lorna thanked all those who supported their campaign to raise sponsorship, prepare for the event and logistics. Once Beckii was adorned with her first prize tri-colour sash, gold silk cap and Lorna wore her bronze silk cap, Becca Evans joined the ‘Three Musketeer’ from the ‘Mudchute Cowboys’ to complete the 10 miles hack through Frensham common and surrounding farmland with 44 optional jumps. 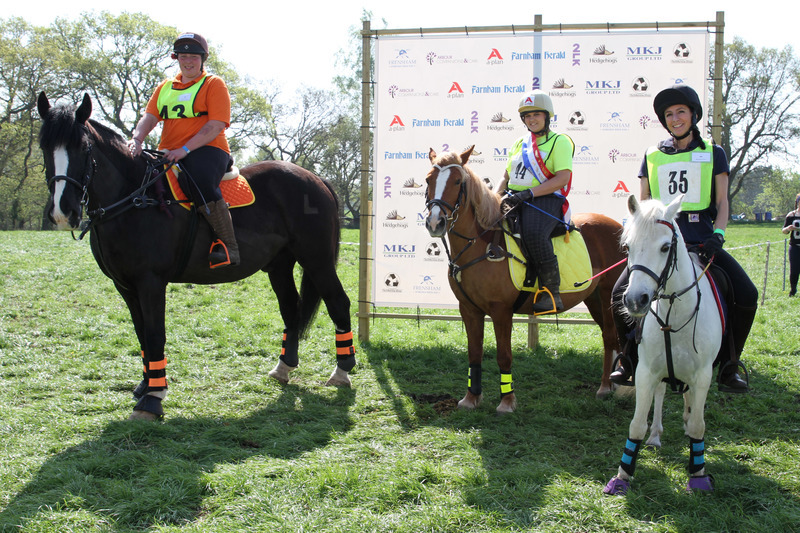 Here they are at the start line, left to right with Lorna on Bruno, Beckii on Maple and Becca on Treasure. 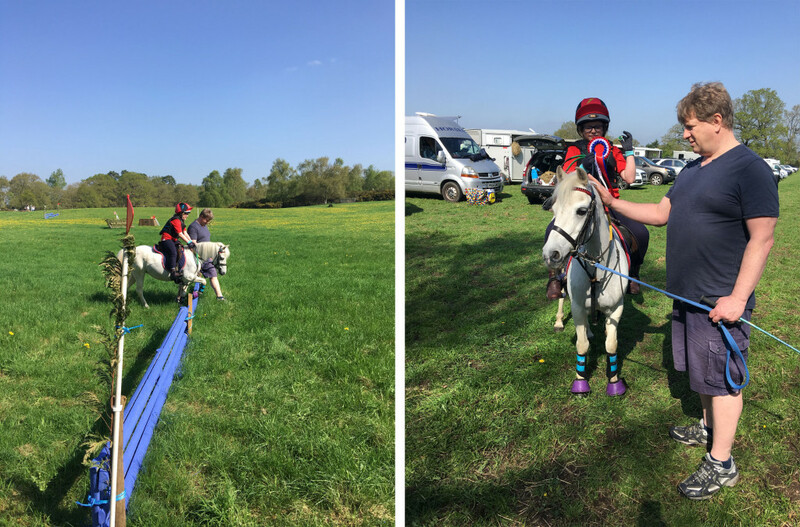 Other members of the ‘Mudchute Cowboys’ included the Mangans with Jaime on Treasure who completed the ‘Children’s in-hand’ cross-country course, and Emma on Silver. Adam provided transport and Beckii’s family Laura, David and April Byrne cheered on everyone.